Your use of the Image VapeSmart website constitutes your agreement to the following Terms and Conditions. If you do not agree with these Terms and Conditions, you should immediately leave the Image VapeSmart website. The Image VapeSmart website is intended only for use by adults aged 18 years and older. If you create an Image VapeSmart User Account, you are responsible for maintaining the confidentiality of your account and password; you further agree that you are of legal smoking age and may legally purchase or consume any of the products offered on the Image VapeSmart website. This website has been designed to comply with United States law. Image VapeSmart does not claim or represent that this website is appropriate or legal for locations outside of the United States. If you access this website from any location outside of the United States, you are responsible for compliance with all relevant local laws. You also acknowledge and agree that your use of this site shall be governed in all respects by the laws of the U.S.A., without regard to choice of law provisions, and not by the 1980 U.N. Convention on Contracts for the international sale of good. You furthermore agree that jurisdiction over and venue in any legal proceeding, directly or indirectly arising from or related to use of this site (including by not limited to the purchase of Image VapeSmart products) shall lie with the appropriate County, State, or Federal Courts located within the USA. The copyright to all content on this website is proprietary of Image VapeSmart or its third party licensors and the manufacturers whose products are sold by Image VapeSmart . You many not reproduce, post on any other website, modify, distribute, or transmit any portion of this website without the express written consent of Image VapeSmart. Any name, logo, trademark, or service mark contained on this website is owned or licensed by Image VapeSmart or one of its third party licensors and may not be used by you without the prior written consent of Image VapeSmart or the proprietary third party licensor. You acknowledge that you are responsible for any submission you make, including the legality, reliability, appropriateness, originality, and copyright of any such material. If you post or transmit to this website any content that is libelous, defamatory, obscene, threatening, invasive of privacy or publicity rights. Image VapeSmart assumes no responsibility or liability which may arise from such content, including but not limited to claims for defamation, libel, slander, obscenity, profanity, or misrepresentation. Any non financial information, material, or communication transmitted by you to this website will not be treated as confidential. Any ideas or concepts or other materials transmitted by you to Image VapeSmart may be used by Image VapeSmart in any manner including but not limited to; reproduction, transmission, publication or broadcast without compensation. Your use of this website is at your sole risk. 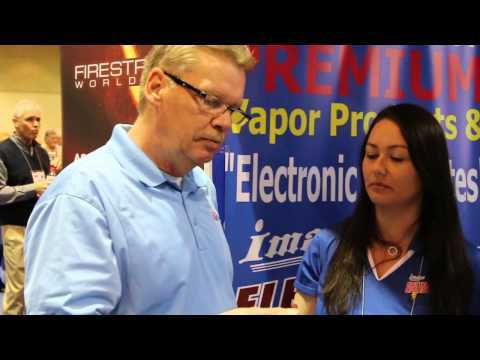 Image VapeSmart provides products and access on an “as is” and “as available” basis. We reserve the right to restrict or terminate your access to this website or any feature or part thereof at any time. Image VapeSmart expressly disclaims all warranties of any kind whether express or implied, including the implied warranties of merchant-ability and fitness for a particular purpose and any warranties that material on the website is non-infringing; that access to the website will be uninterrupted or error-free; that the website will be secure; or that information on the website will be complete, accurate, or timely. If you download any material from this website, you do so at your own discretion and risk. You will be solely responsible for any damage to your computer system or loss of data that results from your downloading of any material from the Image VapeSmart website. In no event shall Image VapeSmart be liable for any direct, indirect, punitive, incidental, special, or consequential damages arising out of or in any way connected with the use of this website or any information provided on this website. As some states or jurisdictions do not allow the exclusion or limitation of liability for consequential or incidental damages, the above limitation may not apply to you. We reserve the right, at our complete discretion to change these Terms & Conditions at any time, for any reason, without notice or obligation. By entering this website, you will be bound by any such revisions which we make to the Terms and Conditions. Your continued use of the Image VapeSmart website following the posting of changes to the terms or other policies means that you acknowledge and accept said changes. Except where noted otherwise, the prices displayed for Image VapeSmart products represent the full retail price listed on the product itself. We cannot confirm the full price of any item until you complete the online order form as this will resolve the issues of relevant taxes and shipping and handling as and where applicable. Be aware that your credit card is not billed until after your order has entered the shipping process.